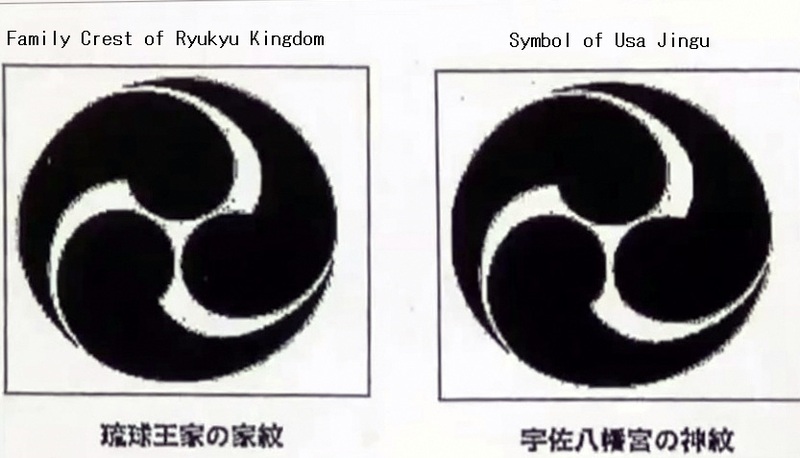 History / Ryukyu Family Crest of Ryukyu Kingdom is the same Symbol of Usa Jingu (宇佐八幡宮), a Shinto shrine in the city of Usa in Ōita Prefecture. Ryukyu Kingdom had been Japan since ancient times, so Ryukyu / Okinawa has been Japan without any doubt. Family Crest of Ryukyu Kingdom(琉球王家) is the same Symbol of Usa Jingu（宇佐八幡宮 Usa　Hachimangu), a Shinto shrine in the city of Usa in Ōita Prefecture. However there is and were vast number of Hachiman shrines in Japan and they were known by their many Samurai clans' and their descendants' worshipers through Japanese history, Usa Hachimangu is the oldest (build in early 8th Century) and most famous Hachimangu shrine in Japan. 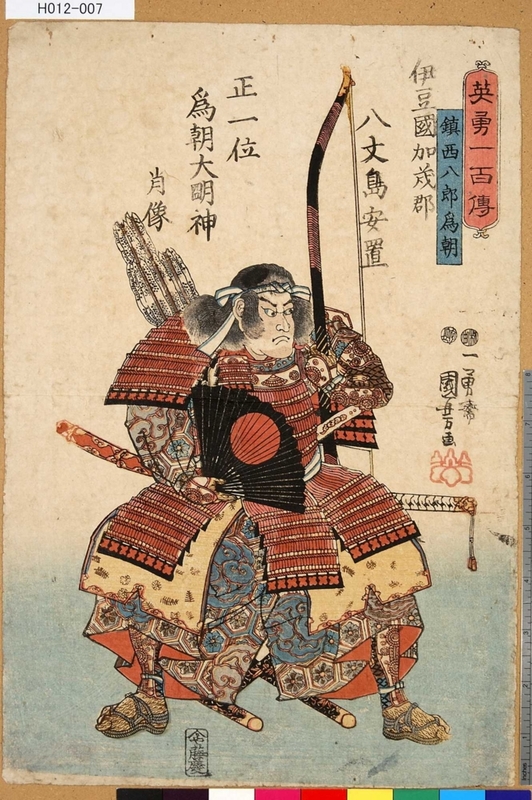 According to the Authentic History of the Ryukyu Kingdom, Chūzan Seikan (中山世鑑), a famous Japanese samurai, Minamoto no Tametomo (源 為朝) also known as Chinzei Hachirō Tametomo （鎮西 八郎 為朝) is the founder who made his way down to Okinawa during his exile, and funded thir kingdom by siring the first king of Chūzan (中山), Shunten (舜天).